Here you will find books that embody the spirit of the clairvoyant Alma Rose Rush. Alma Rose was an insightful and gifted woman who saw clearly into the hearts and futures of those around her. She did not blink in the face of adversity, displaying an unbounded passion for life imbued with love for her fellow man. Alma Rose Publishing is proud to carry these publications that reflect such a spirit. 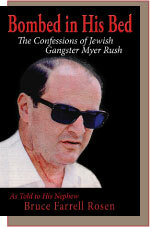 Dying twice on the way to the hospital after being blown up by a bomb thought to have been planted by the mafia, Bombed In His Bed: Confessions of Jewish Gangster Myer Rush by Bruce Farrell Rosen, Myer’s real life nephew, is a true story about a larger-than-life character that lived his days on his own terms and achieved his goals – through whatever means necessary. 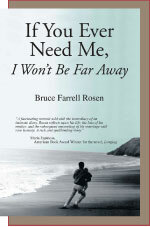 If You Ever Need Me, I Won’t Be Far Away is the heartfelt memoir of award-winning writer Bruce Farrell Rosen. 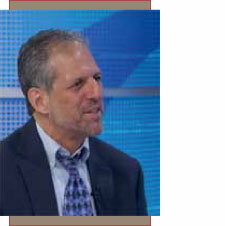 Rosen delves deeply into the nature of his greatest loves – for his psychic mother, his wife of 25 years, his two talented sons, music, world travel and exploration in all its forms.